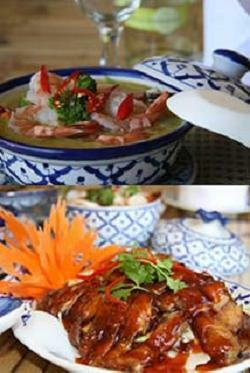 For delicious, authentic Thai cusine, try Thaifoon in Bellville. Situated in a convenient spot within the Northern Suburbs and boasting a friendly and lively atmosphere, this restaurant is a must-try for couples and families alike. The vast menu proffers superb authentic Thai food, created with passion and dedication by the talented team behind the scenes. More than just a restaurant, there is frequent entertainment on chosen Saturday nights as well as the opportunity to learn how to create some of the fantastic dishes at the Chiang Mai Thai Culinary School. A brilliant experience all-round, Thaifoon is well worth a visit. 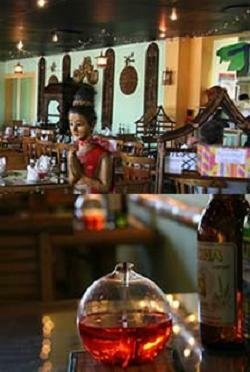 Thaifoon is 3.5km from the centre of Bellville , the nearest airport 11.5km (Cape Town International Airport).